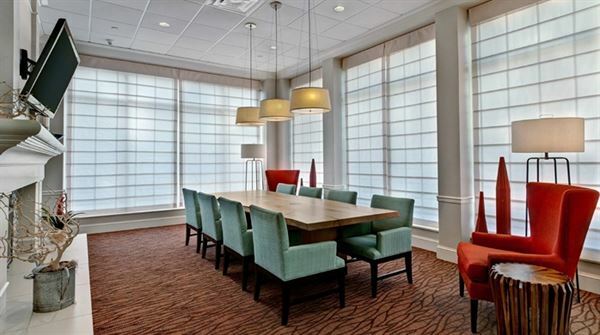 Hilton Garden Inn - Birmingham/Lakeshore offers 95 spacious guestrooms and suites, convenient location and over 1,000 square feet of meeting space. We offer free set-up and clean up, free water station, pens, pads, and mints. We offer complete catering for all space for food and beverage. This includes breakfast, lunch, dinner, breaks, receptions and parties trays for all occasions. we have a meeting room with 1,000 sq. feet and av on site such as: projector, screen, av cart, flipcharts, and teleconference phones.